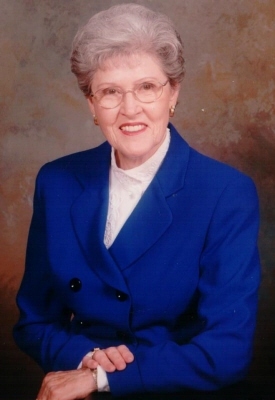 Jacqueline (Jackie) Brown passed away on Monday, November 26, 2018 at Brookdale Richmond Place Nursing Center, Lexington, KY. Born on November 27, 1930 to the late Grady and Eunice Pate in Atlanta, Georgia, she was a longtime resident of Atlanta and Jasper, Georgia. She moved to Lexington in June 2016. She was preceded in death by her husband, Harvey Fitzgerald. She is survived by her current husband Robert Brown of Jasper, Georgia, her sister Connie McAdams of Shalimar, Florida, her children, Wanda Anderson of Lexington, KY, Curtis Fitzgerald of Las Vegas, Nevada and Rhonda Nichols of Suwanee, Georgia and three grandchildren. Funeral services will be Friday, December 7, 2018 at Floral Hills Funeral Home, 3150 Lawrenceville, Georgia with visitation at 1 pm, funeral at 2 pm and burial immediately following in Floral Hills Memorial Gardens. To send flowers or a remembrance gift to the family of Jacqueline Rae Brown, please visit our Tribute Store. "Email Address" would like to share the life celebration of Jacqueline Rae Brown. Click on the "link" to go to share a favorite memory or leave a condolence message for the family.